Hashimoto’s disease is a thyroid problem that is often misdiagnosed or treated incorrectly in the medical community. 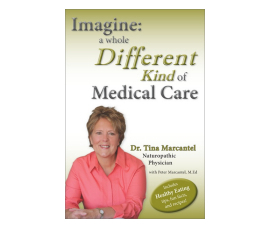 Dr. Tina Marcantel is a naturopathic doctor in Gilbert, Arizona, who also serves the East Valley cities of Mesa, Scottsdale, Tempe, Chandler, Apache Junction, and Queen Creek, and the greater Phoenix area. Are you on antidepressants when the real problem is your thyroid gland? One of the symptoms of hypothyroidism can be depression, and many patients that come to me on antidepressants really need treatment for thyroid problems. So why is this often missed by laboratory testing? Hashimoto’s thyroiditis is the most common type of thyroiditis covering approximately 80% of thyroid patients. It is an autoimmune disease in which the body turns against itself, creating antibodies that attack the thyroid gland. Most people with Hashimoto’s develop hypothyroidism and must take thyroid hormone replacement therapy. Inflammation of the gland will initially cause the gland to go through a phase of hyperthyroidism that will eventually damage the thyroid and lead to a state of low hormone production. In a patient with Hashimoto’s, the doctor will feel a painless enlargement of the thyroid gland. The diagnosis for Hashimoto’s disease is often missed in medicine or it’s treated incorrectly. The reason for this is because the patient may have a normal thyroid stimulating hormone (TSH) test, they can be in the normal range for free T3 and free T4, and normal range for T3 and T4. At that point their doctor may tend to rule out thyroiditis because of the blood tests. However, it’s important to also check the TPO antibodies (thyroid peroxidase antibodies) because they are an excellent indicator of Hashimoto’s. Sometimes the TPO antibodies are extremely high even though the other tests seem to be in the normal ranges. A couple of years ago Jane, a young woman in her mid-thirties, came in to see me complaining of abnormal weight gain within the last few months. She also had fatigue and difficulty concentrating. She had been to a couple of other doctors and her blood tests seemed fine. We ran a new test to check for TSH, free T3, free T4 and TPO antibodies. Sure enough, the other hormones were in the normal ranges but the TPO antibodies were greater than 1,000–the norm should have been less than 34! Jane was exhibiting all the symptoms of hypothyroidism but the only problem showing up in tests was the TPO antibodies. I sent her to her endocrinologist who told her there was nothing that could be done because the TSH, free T3, and free T4 were normal. Jane wouldn’t settle for that, however. She read on the Internet about a doctor in another state who was treating people for thyroid conditions and she packed her bags and headed for his clinic. When she came back to see me a few months later, Jane looked like a different person. She had lost the ten pounds she had gained earlier, her energy was good, she was able to concentrate and work much better, and no longer had cold hands and feet. The physician she had seen had been willing to treat her symptoms rather than strictly relying on the usual test results. He prescribed Armour thyroid (a natural thyroid medication) and it worked great for her. Jane taught me a very important lesson. People who have “normal” TSH, free T3, and free T4 but who have Hashimoto’s disease with symptomology need to be treated with thyroid medication. The conventional treatment is to look at the TSH and treat according to that test. By recognizing the disease from the symptoms and confirming it with the proper laboratory tests, many people can get the help they really need. Dr. Marcantel wishes you happy holidays and a healthy and prosperous 2017!